Safari Install Silverlight if you haven't already. Then open the menu Safari->Preferences->Websites. Then in left hand column under PLUG-INS, check the box next to Silverlight. This will show a dropdown menu on the right-hand side column labeled "When visiting other websites." Click on the dropdown and select "On". Firefox Not supported. Please use Internet Explorer on Windows or Safari on Mac. If you have an iPhone or Android please use it instead so you can sign documents. Internet Explorer First be sure there is nothing that says “InPrivate” at the top by the web address. If so, restart your browser. Then press the gear icon in the upper right-hand corner and choose “Manage add-ons”. Then choose “All add-ons” under the “Show:” field. 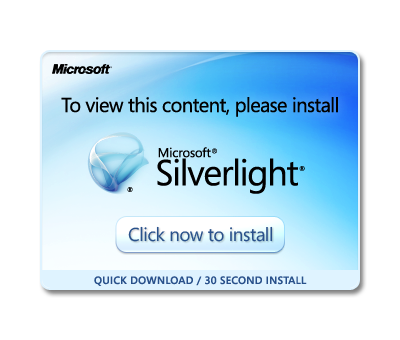 Then scroll down on the right and make sure the “Microsoft Silverlight” add-on is “Enabled”. If on Windows XP use Firefox.